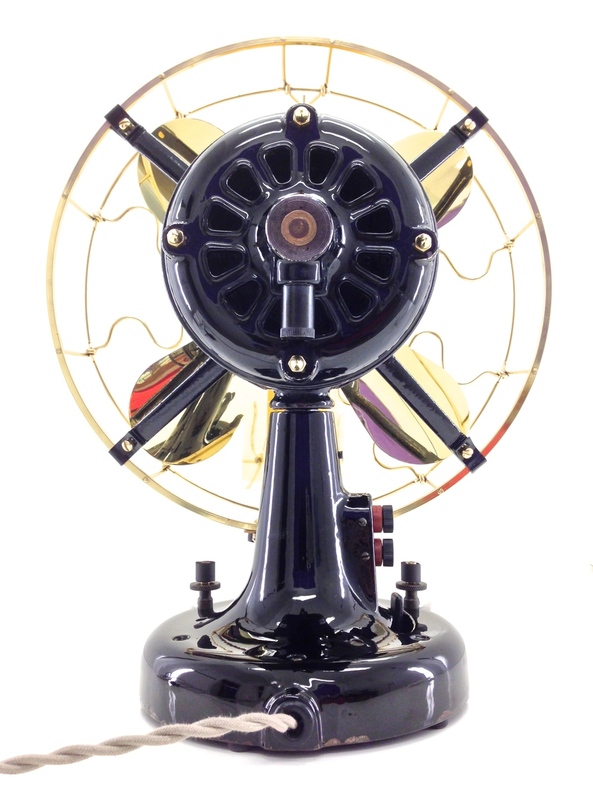 The Westinghouse vane oscillating fans is one of the most sought after and enjoyable fans to own because it is so unique. 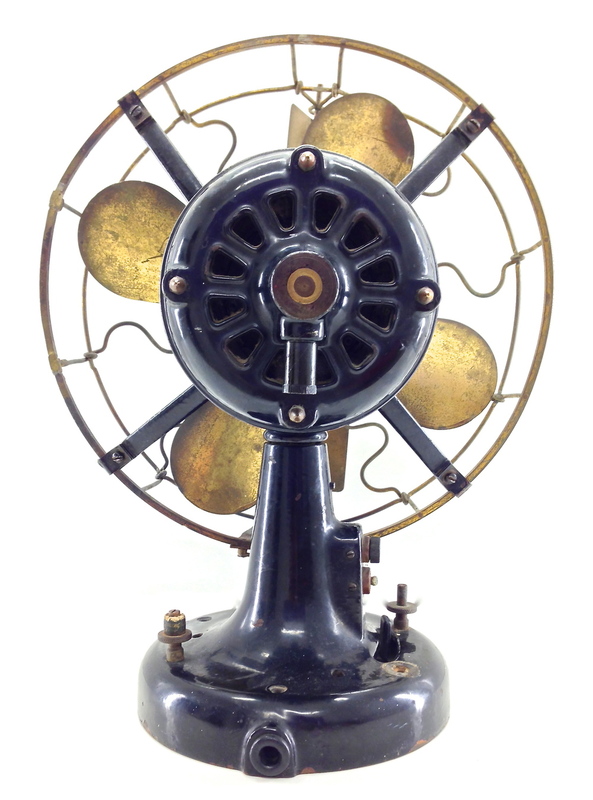 The oscillating mechanism was ingeniously designed and patented by H.M. Shedd in 1909 and operates via wind action induced upon the large vane from the fan itself. As the vane indexes 90 degrees, it causes the fan motor (held by a single bearing within the stem) to rotate one direction. 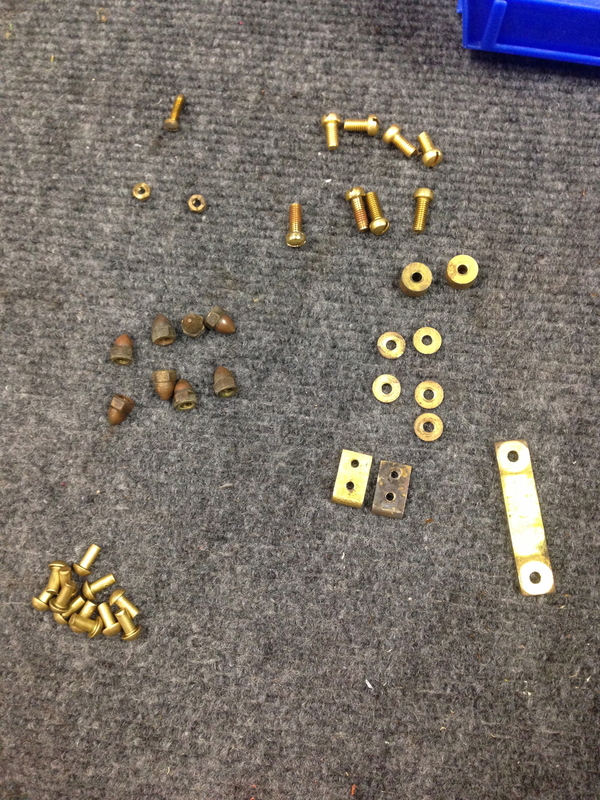 The mechanism at the bottom of the vane then hits a rubber stopper and causes the vane to index 90 degrees back. This causes the fan motor to rotate the opposite direction. 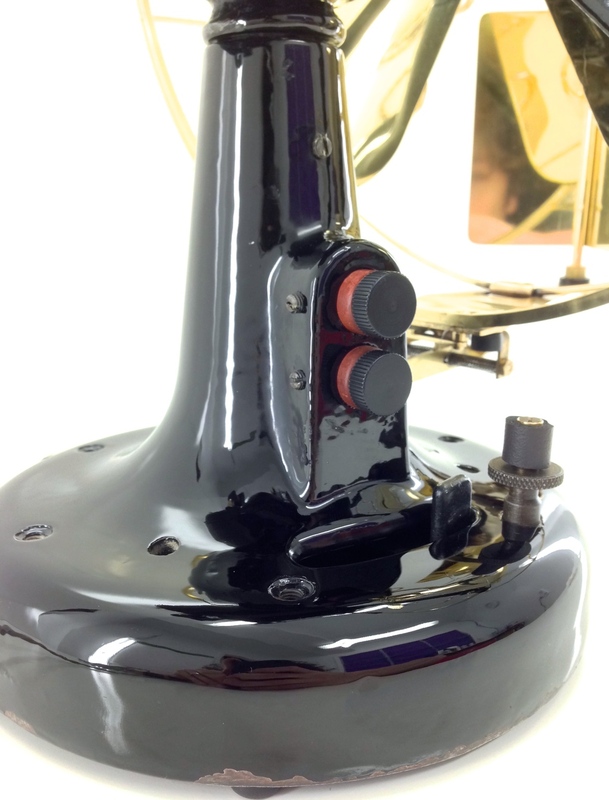 The position of the rubber stoppers are adjustable so that one can cause the vane oscillator to rotate back and forth from 60 to 270 degrees if one would like. Below please find a gallery of photos taken of this vane oscillator before its preservation. In this gallery you can see just how bad this particular vane fan example was. 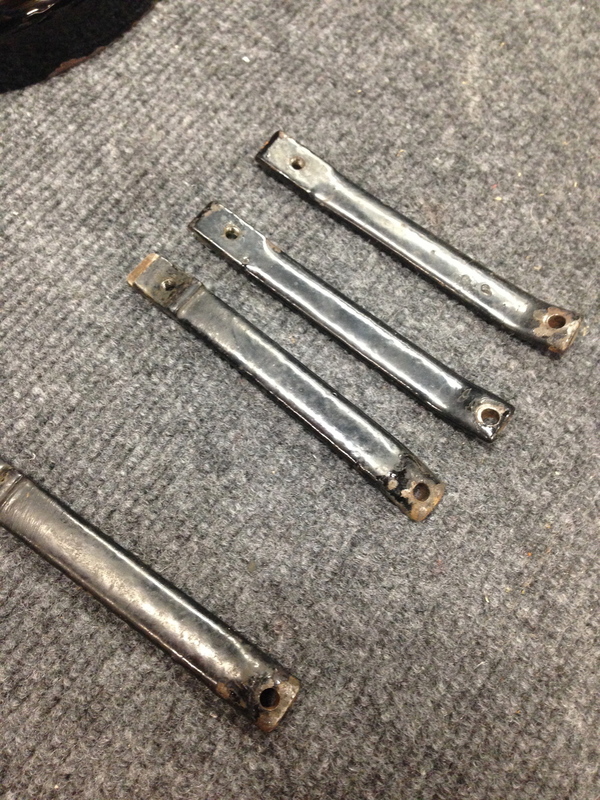 The cage was in dismal condition and the brass blade was bent and dimpled. Paint was missing (which was touched up during the restoration) and was very dirty. 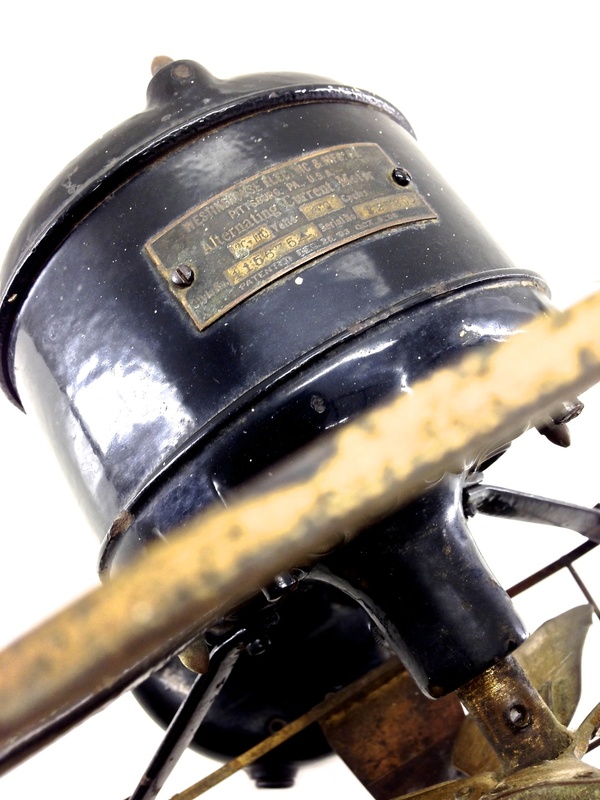 The preservation of this specific vane oscillator was a pain staking process consisting of total disassembly, the careful preparation of each individual component of the fan, polishing of the original brass, restoration of the cage and mechanism, as well as polishing of the original paint. Again, this fan was not re-painted. 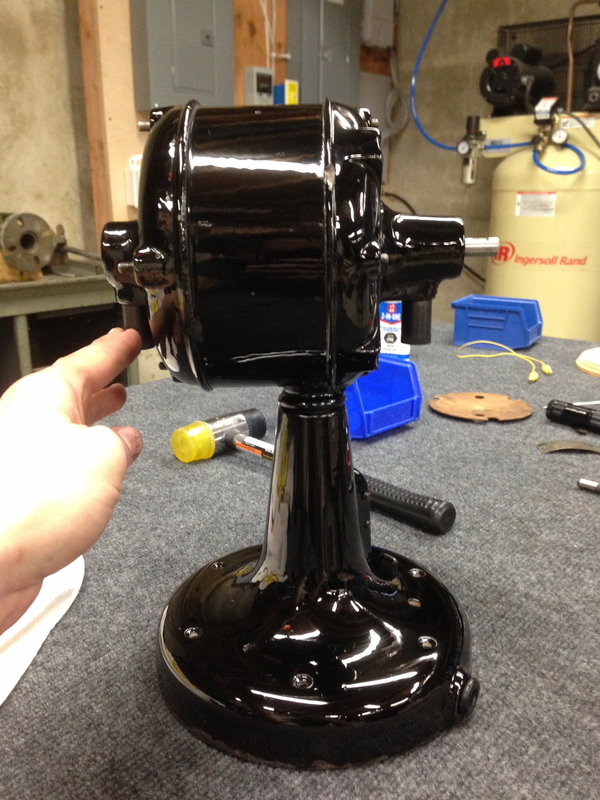 The original paint was restored using a White Glove Fans process described in our blog article How to Make that Old Paint Shine. Creases in the blades were removed using an English wheel and the blade curvature was applied using a slip roll. 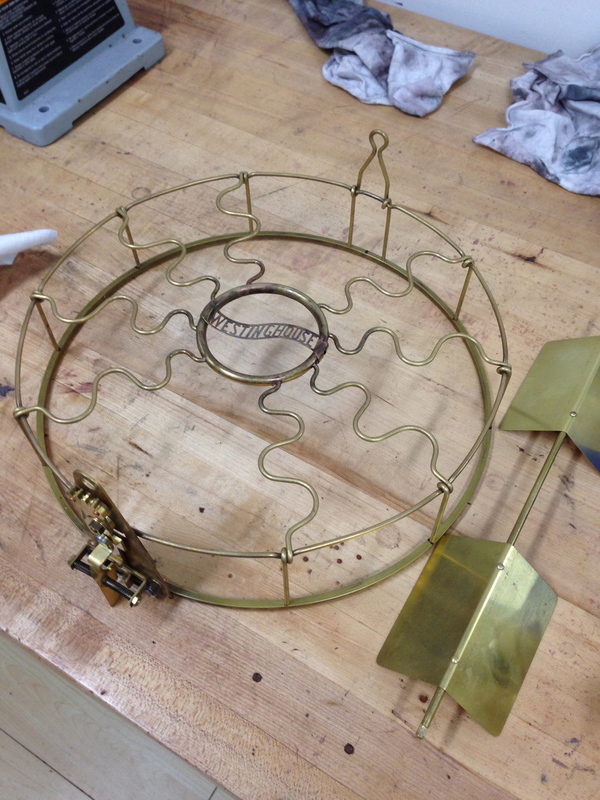 The wiring was replaced and the motor and switch were cleaned and varnished.The original cage was restored and repaired by Paul Graves using his components as well as many CNC machined by White Glove Fans. 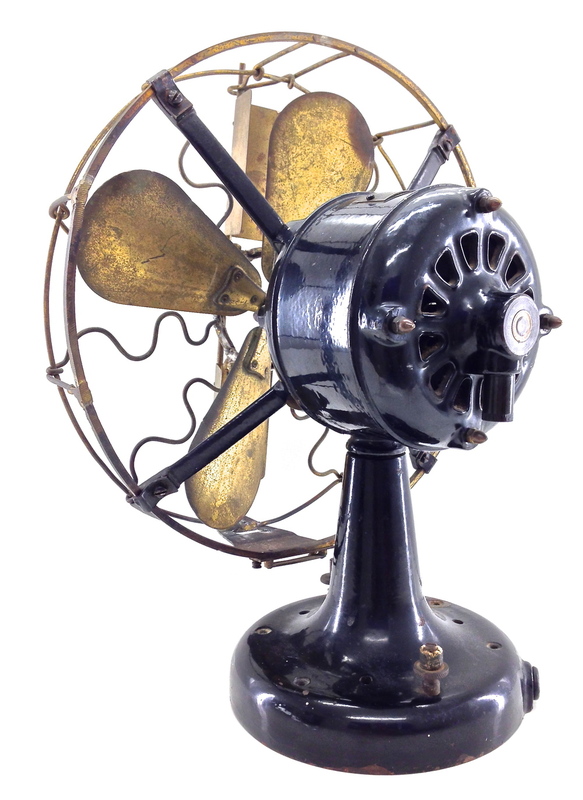 Paul is one of the most talented fan restorers that I know, his website can be found here. After the many hours spent preserving this completely original fan, it is a true pleasure to present the end product to the readers of White Glove Fans. I hope you enjoy the pictures and video below. Also, this fan is tentatively for sale. Please contact us through our online form if you are interested in purchasing this fan.